The new AMD Ryzen 3 processor features AMD SenseMI technology that learns and adapts to provide the best possible experience. So whether you are fighting bandits or crafting gear for your pals, you get true quad-core performance. Choose your quest today! 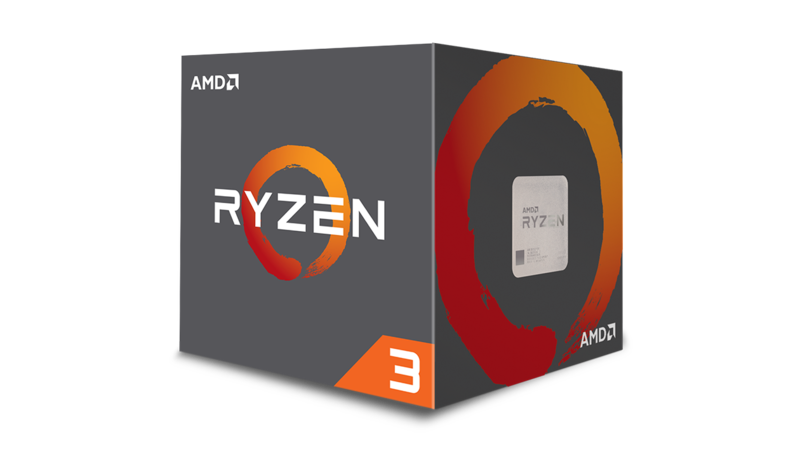 Armed with a new, intelligent architecture, the four physical cores in the AMD Ryzen 3 processor provide superior multitasking performance at a great price. The new AM4 platform takes advantage of the leading-edge features of today, and tomorrow. Every Ryzen processor is multiplier-unlocked for overclocking*. If you?re not comfortable tweaking your settings, the XFR feature enables this intelligent hardware to actually boost its own clock rate when it senses a premium processor cooling. – AMD Ryzen 3 1200 Processor. – Quad Core with 4 Threads. – 3.4 GHz Turbo Speed. – Unlocked for Easier Overclocking. – Compatible with Socket AM4. – Includes Wraith Stealth CPU Cooler. *Please Note: AMD’s product warranty does not cover damages caused by overclocking, even when overclocking is enabled via AMD hardware and/or software.